Jenna Morgan lost her husband, Zach, in a terrible fire a year ago. Left with a house and debt she can not afford, she turns to her in-laws for help. But is that the best decision? What would happen if they knew her secret? Lucas Vermontez, was in that same fire. His mother tells him he was blessed to survive that horrible tragedy... but at first, he's not so sure. He lost his father, his friends, and had great damage to his legs. Will he ever return to the only job he ever wanted and be normal again? 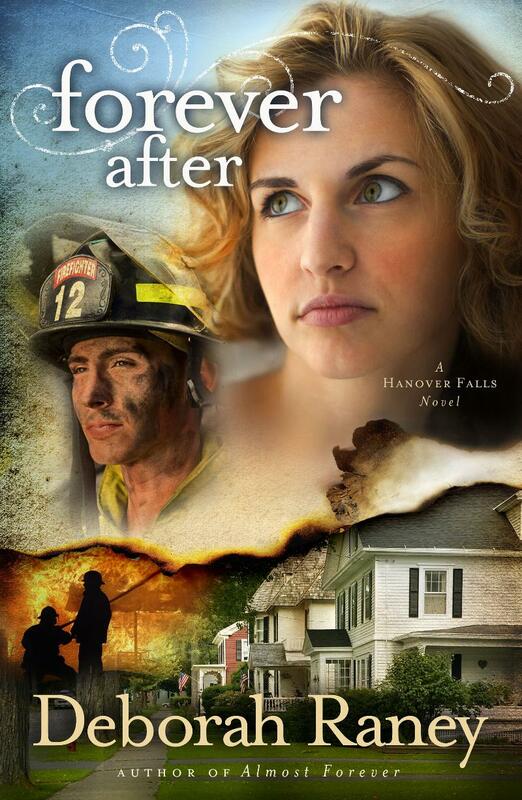 Forever After is the second in The Hanover Falls series. Though it's the second, you won't feel lost if you didn't read the first as this book is wonderfully written and stands on it's own. Deborah Raney has created realistic characters that keep you wanting to know more about their stories as you read. You see the mistakes and hardships they face and want to cheer them on. I was quickly drawn in at the beginning and enjoyed reading this book.